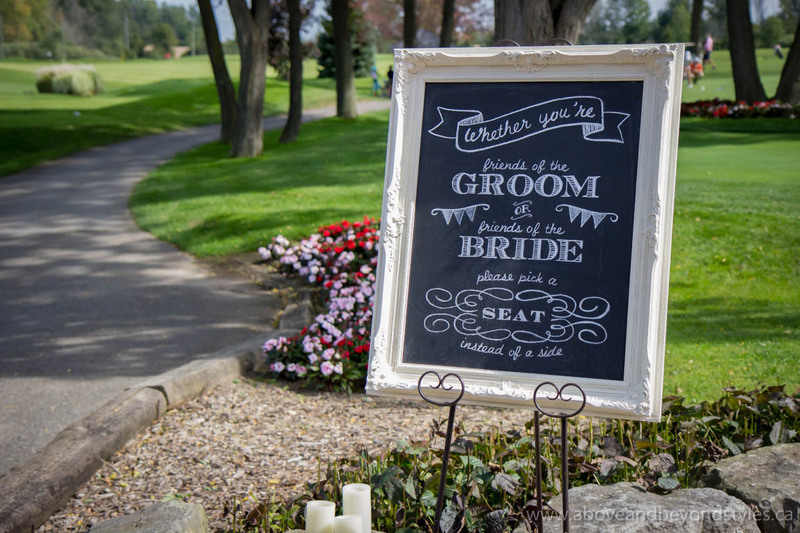 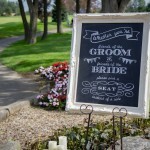 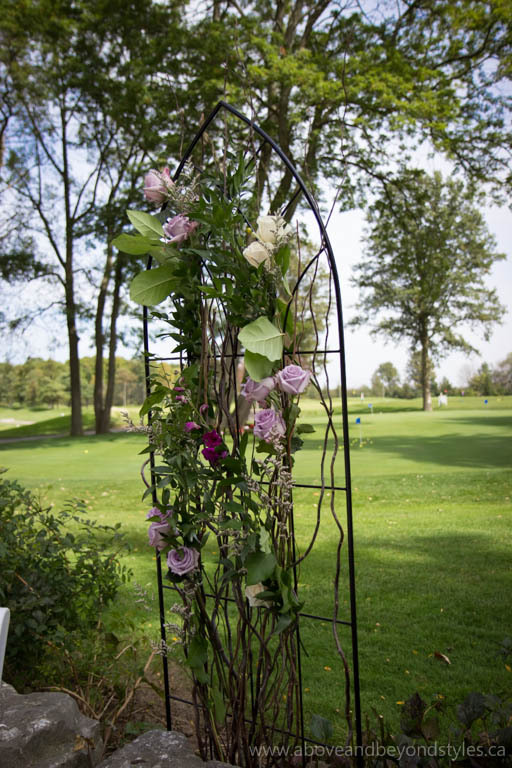 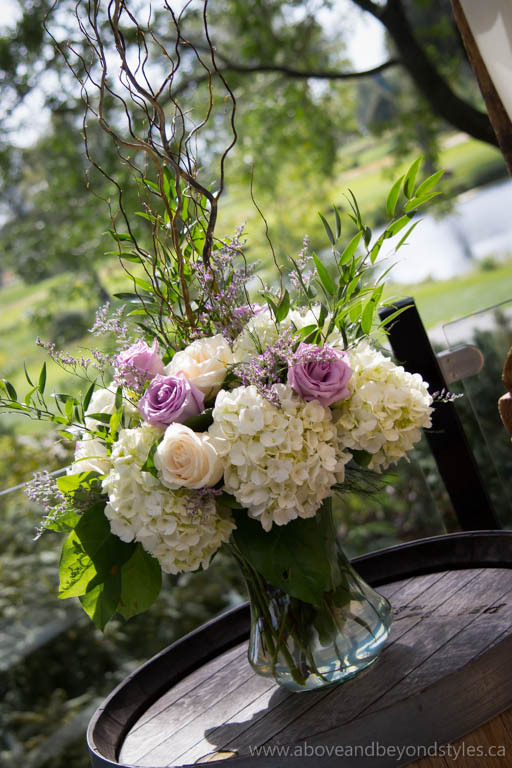 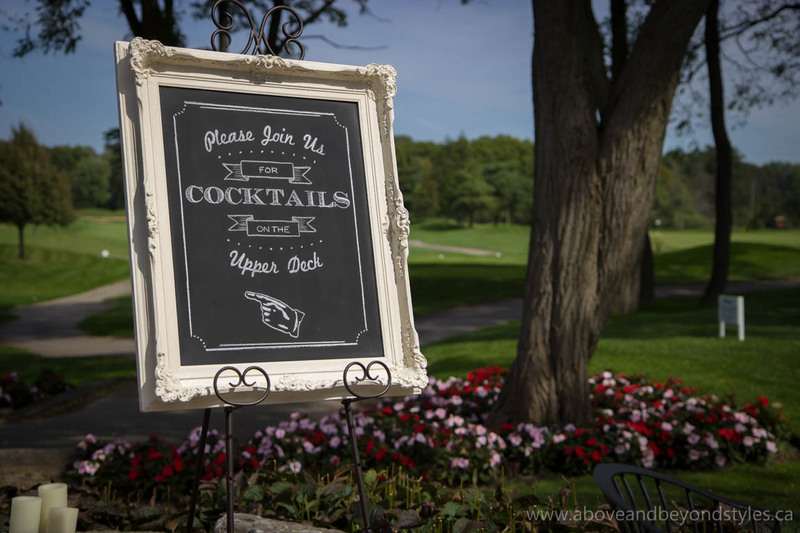 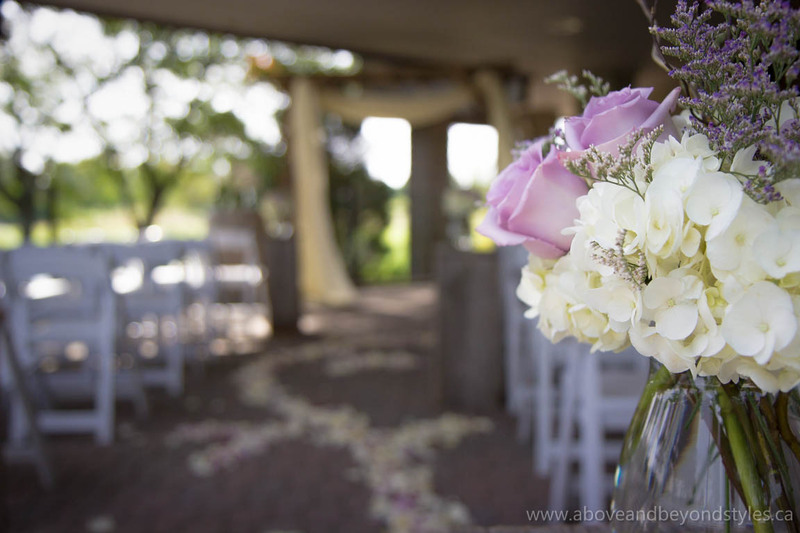 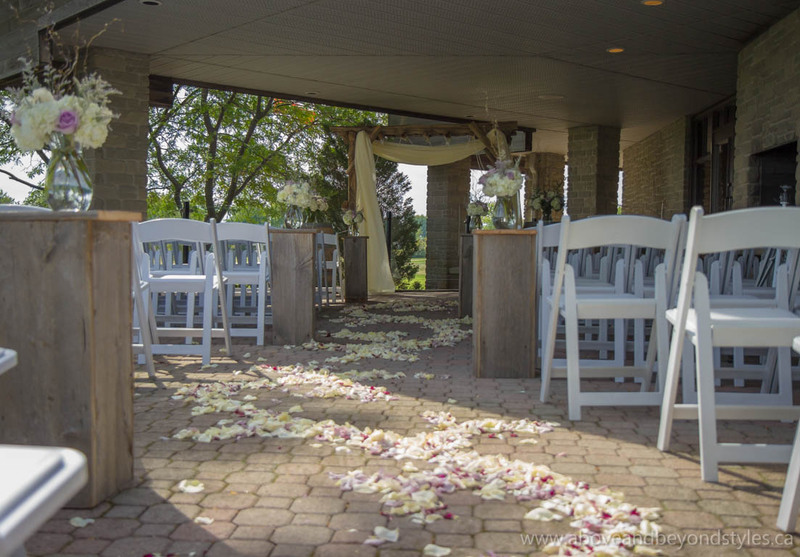 The West Haven Golf & Country Club offers a beautiful setting for a wedding, from the spectacular views to the well-designed venue, from an amazing beamed ceiling to an incredible team to serve you. 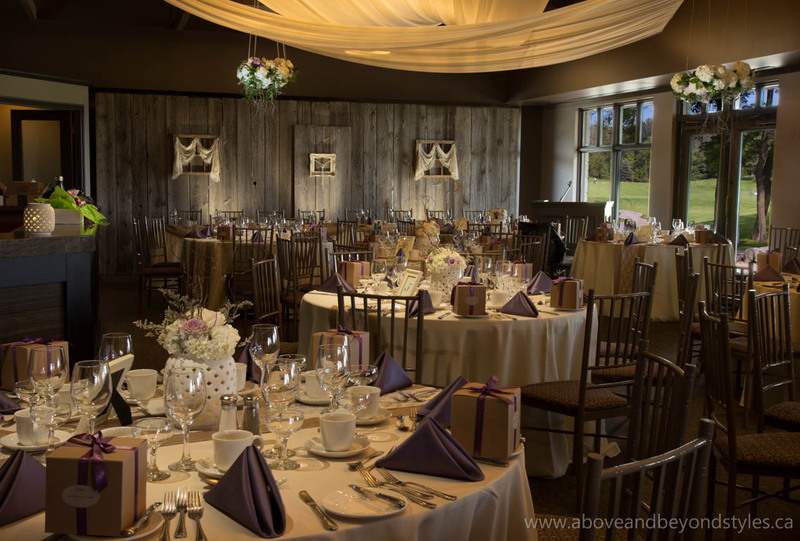 What first brought Felisha and Dave to us was a search on the web for rustic country wedding decor; the bride had fallen in love with our classic barn board backdrop. 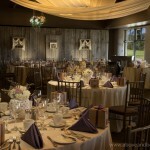 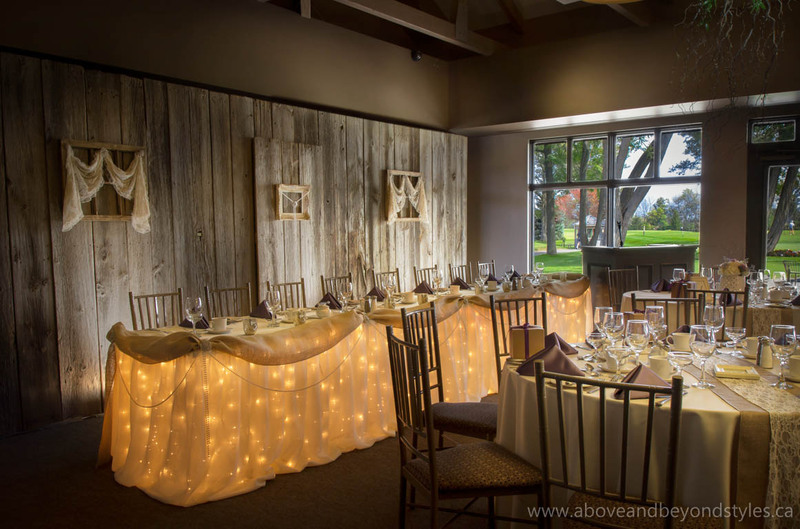 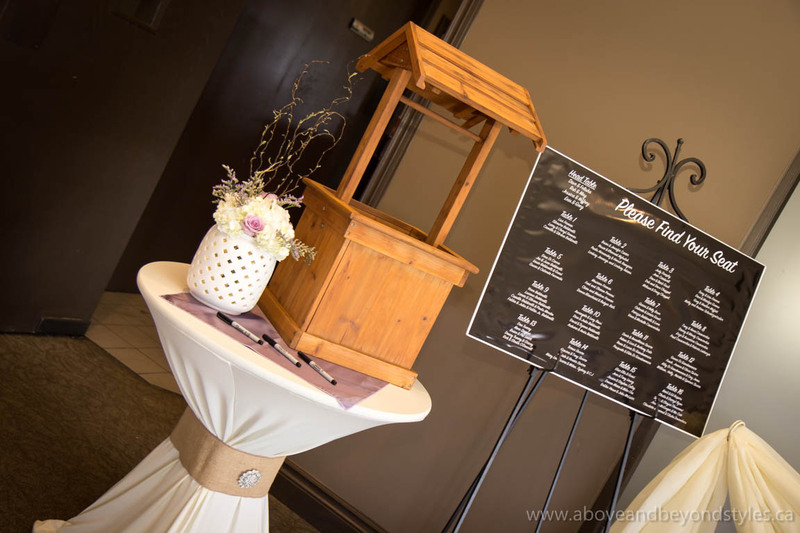 However, as plans evolved and floor plans were designed, we soon realized that the classic barn board backdrop was a little too big for the space allowed for the head table. 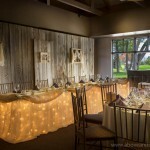 We were already in the process of designing a new barn board backdrop, “Bell’s Barn Board Backdrop,” and knew it would be a perfect fit as the bride had switched things up a little by going from rustic country to vintage country. 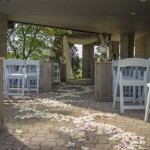 Guests enjoyed an outdoor ceremony on the club’s back patio. 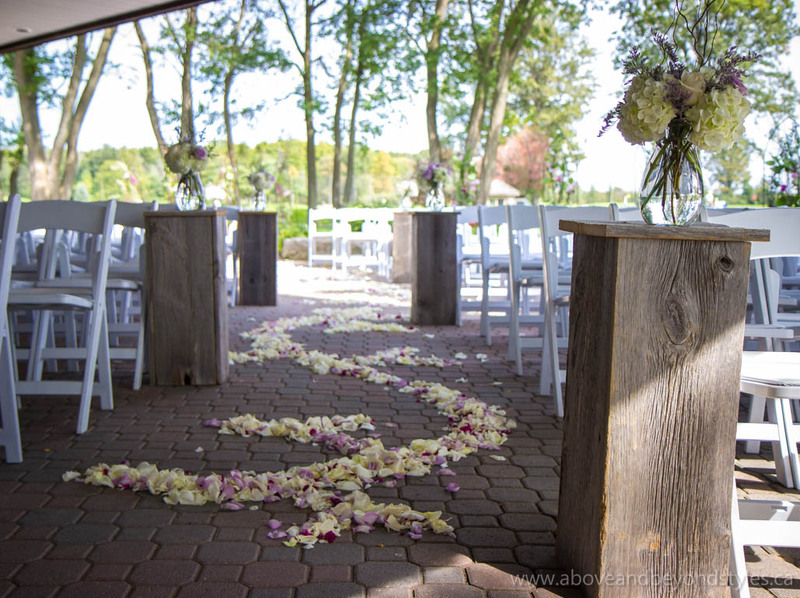 The ceremony featured a cedar rail arbour lightly draped in pearls and sheer with broach accenting, and barn board pedestals lining the aisle. 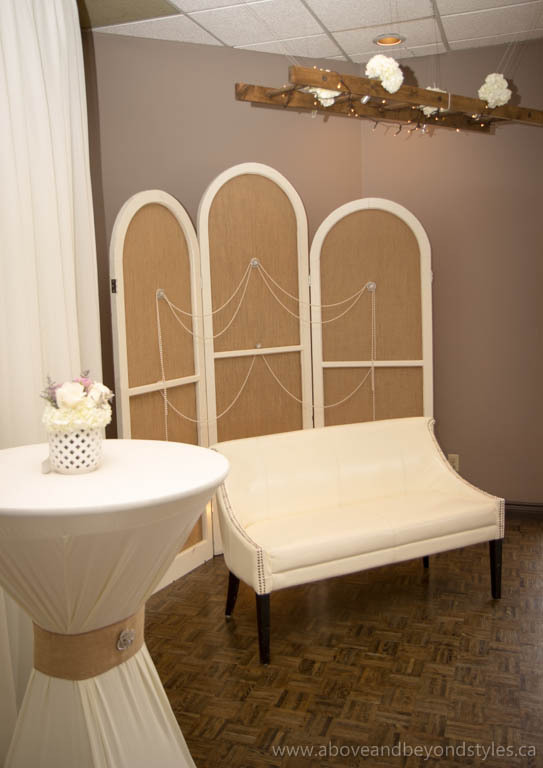 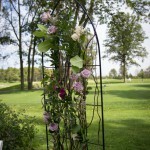 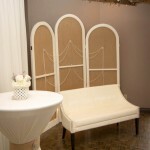 Together with Lyric Flowers, we created a stunning iron trellis wall accented in curly willow and florals. 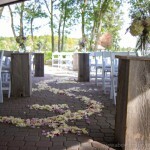 With florals being one of the main design elements, a rose petal scroll-pattern aisle finished the look. 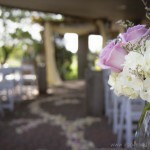 It was so beautiful! 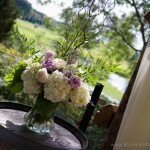 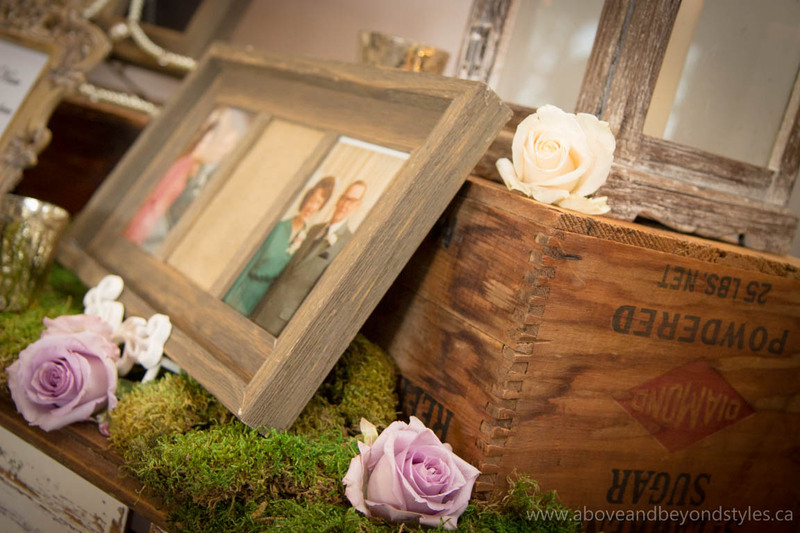 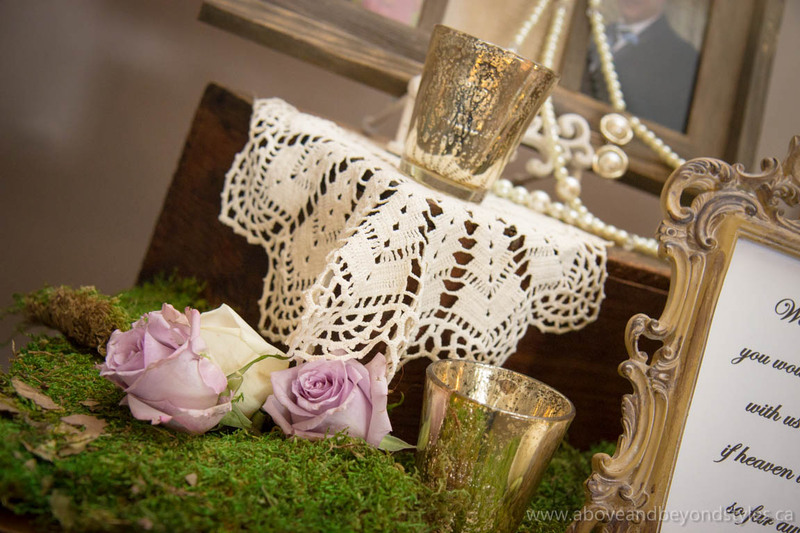 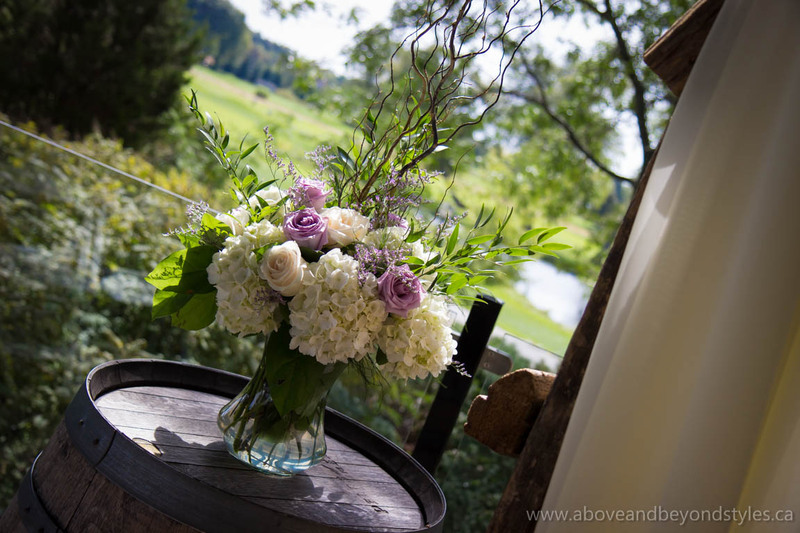 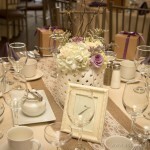 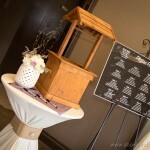 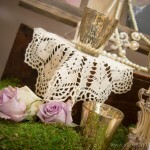 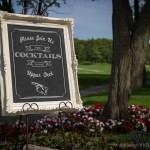 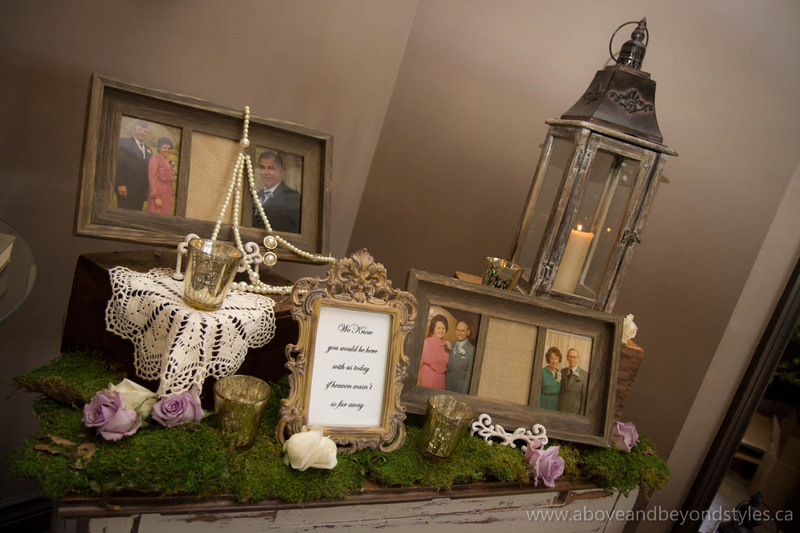 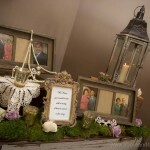 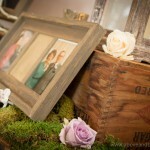 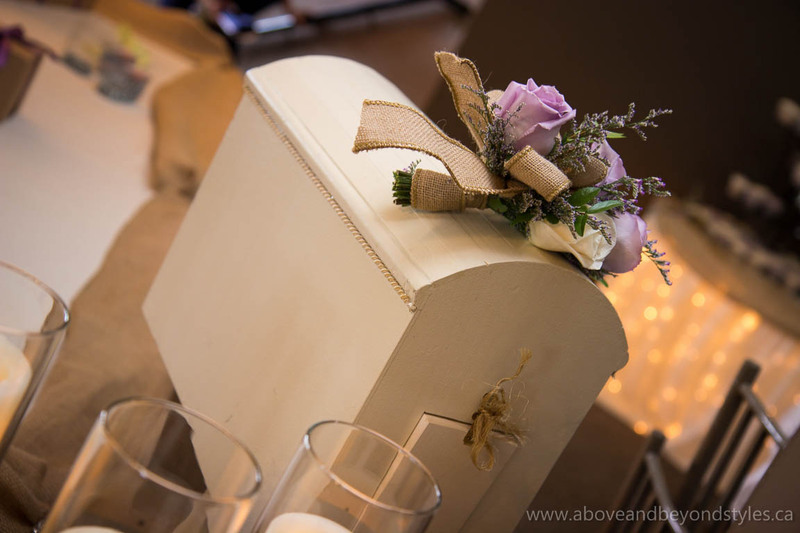 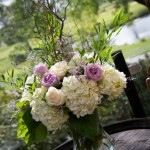 We loved all the personal touches that the couple incorporated into the design! 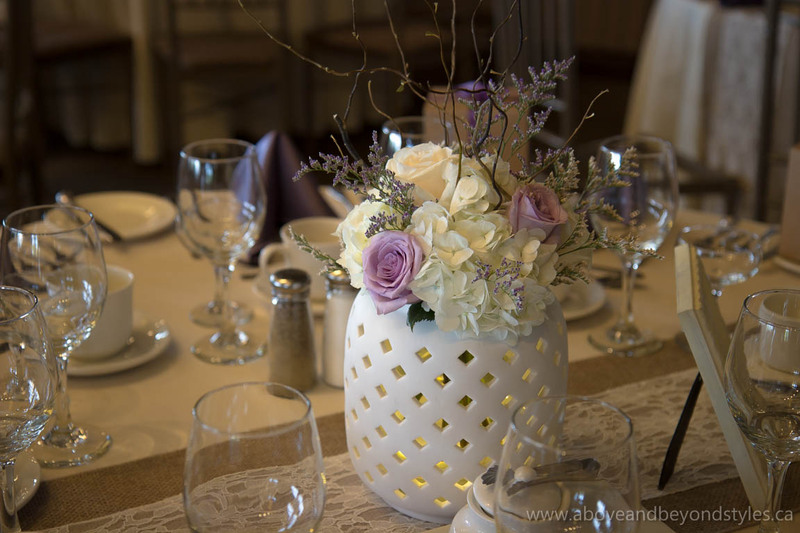 The beautiful ceramic candle holders that we used to host the centre piece florals were so unique, and added so much to the room’s design. 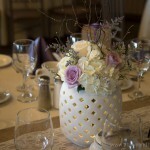 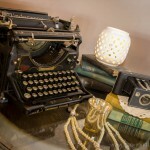 The couple’s vision for us to add lighting to each of these centre pieces was a brilliant idea! 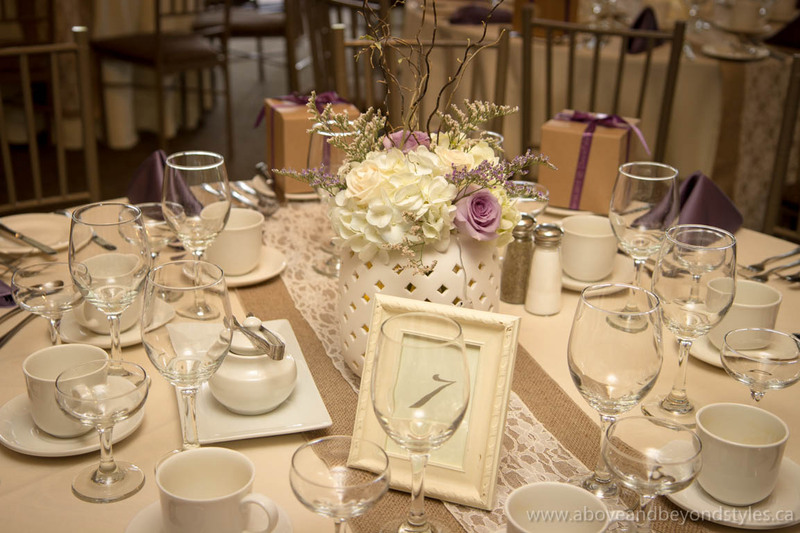 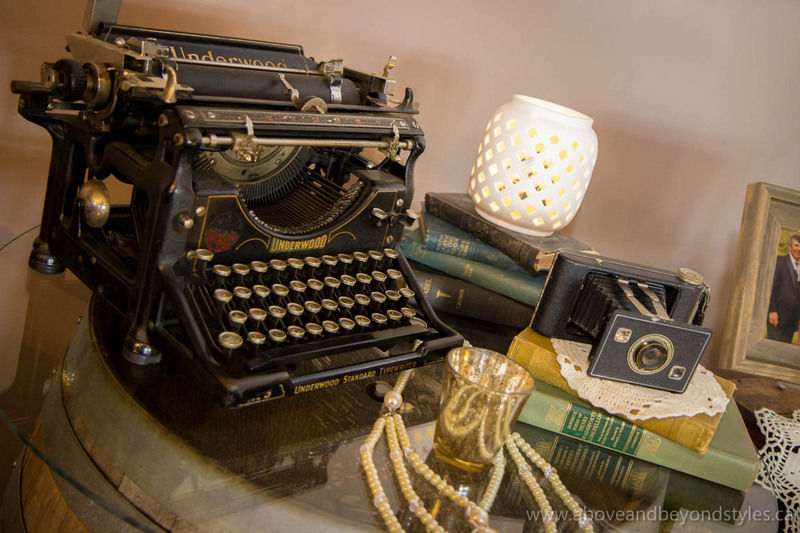 Their guest favours were complimenting, smaller ceramic candle holders beautifully presented in a gift box with lilac ribbon – such a great touch! 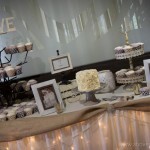 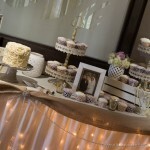 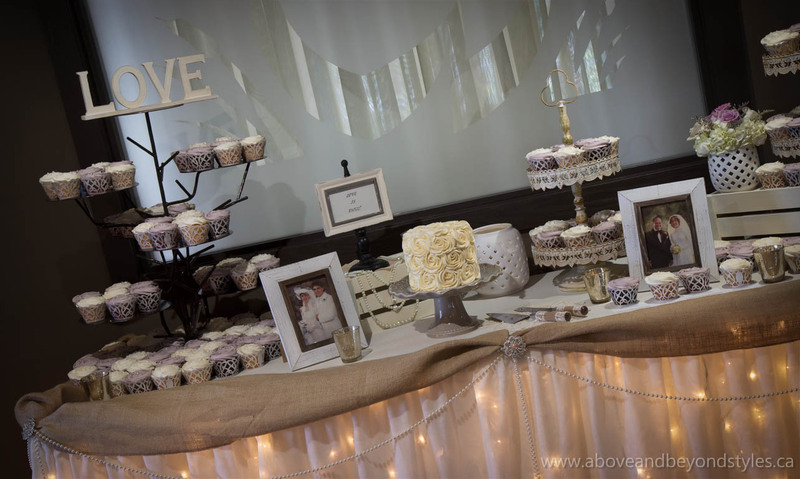 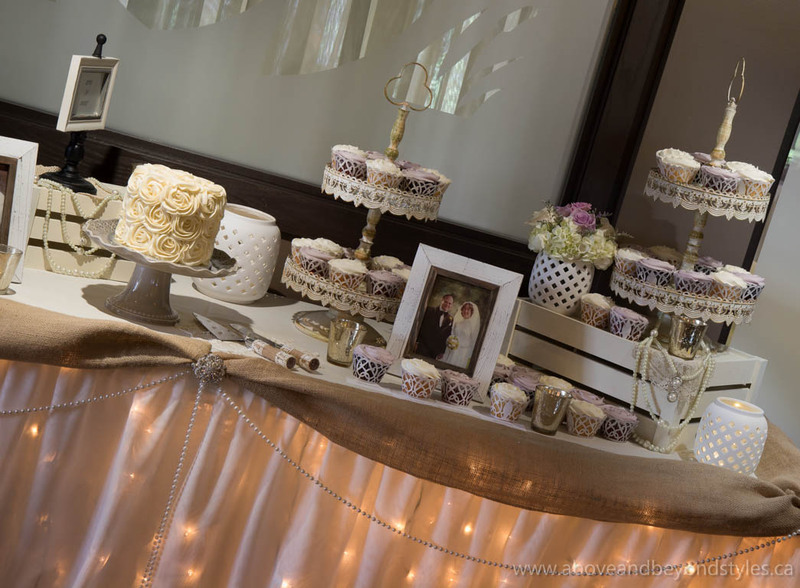 We also loved their stunning cupcakes – everything came together perfectly on our sweets table design. 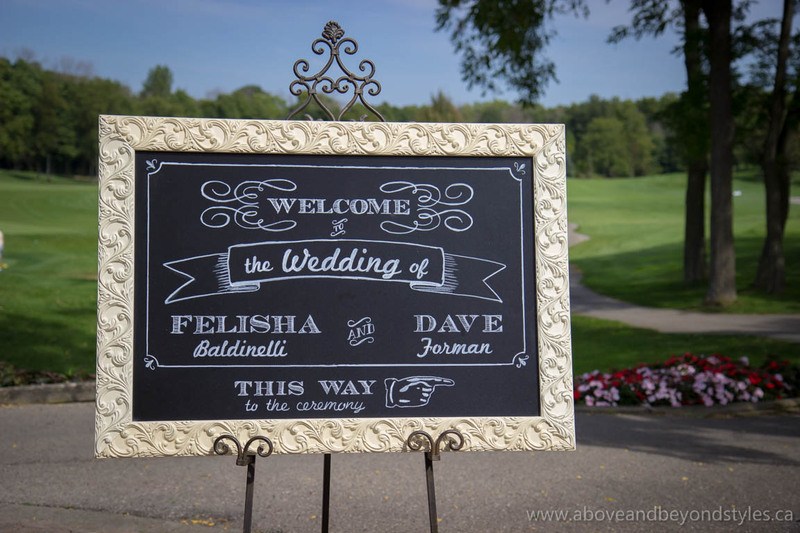 What we liked the most about Felisha & Dave’s wedding was the families’ focus on offering their guests a great experience. 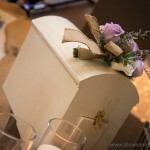 They definitely delivered that and then some!